Impact Wrestling is bringing this year's Slammiversary pay-per-view to Toronto. 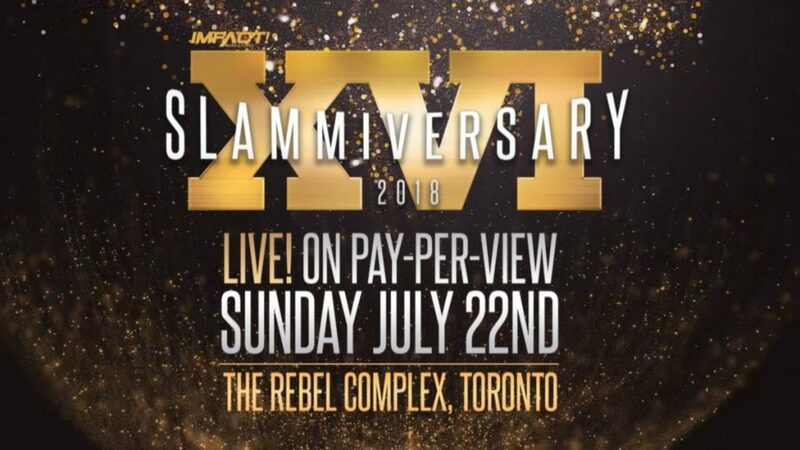 During Redemption last night, a video aired confirming that Slammiversary XVI would be taking place at Rebel Entertainment Complex in Toronto, Ontario, Canada on July 22nd. It will be Impact's second PPV of 2018 and the second since Don Callis and Scott D'Amore were announced as part of the company's senior executive team. Ticket information wasn't revealed, but Impact noted that VIP packages will be available soon. Impact is returning to Canada after Bound for Glory 2017 and their post-PPV television tapings took place in Ottawa last November. Last year's Slammiversary event was held at the Impact Zone in Orlando, Florida during the Jeff Jarrett regime. Impact will follow up on Redemption and Pentagon Jr.'s World Championship win as this week's TV tapings begin in Orlando tonight. The four nights of tapings are set to come to an end on Thursday.